New -90°C MéCour Dry Air Compressor system that eliminates condensation issues down to operating temperature of -90°C. The MDAS -90°C provides clean dry interior for either of these Thermal Towers or virtually any other MéCour low temp thermal system you require for your application and work flow. The unit is mobile, quiet and compact in size measuring 28” W x 20” D x 22” H. Perfect for placement underneath or adjacent to workbench or automated platform. Provides constant dry air flow to MéCour thermal units with effective low operating temp of -90°C. 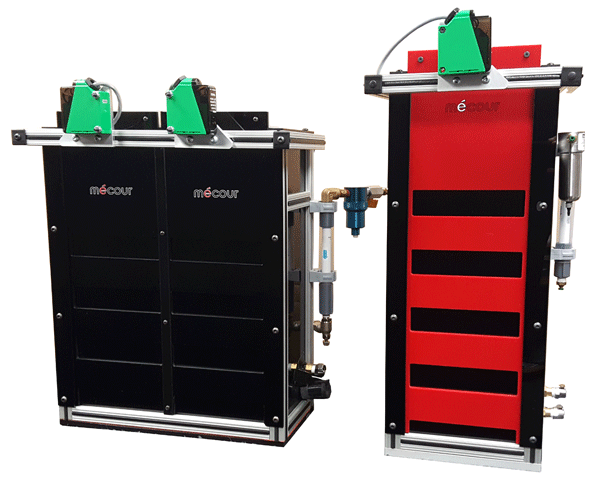 The MDAS -90°C provides clean dry interior for either of these Thermal Towers, plate and tube thermal units or virtually any other MéCour low temp thermal system you require for your application and work flow. The unit is mobile, quiet and compact in size measuring 10” W x 20” D x 28” H. Perfect for placement underneath or adjacent to workbench or automated platform. Provides constant dry air flow to MéCour thermal units with effective low operating temp of -90°C. 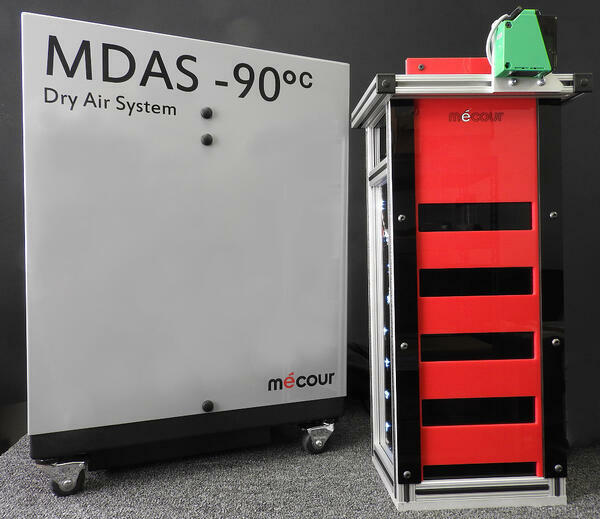 MDAS unit can be placed up to 50 feet from application and convey dry air purge to application via small O.D. tubing that’s connected between compressor and MéCour thermal unit. 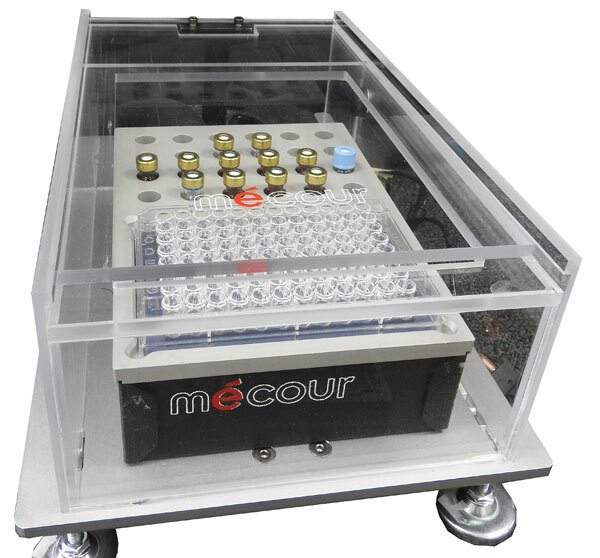 MéCour designs the exterior retractable covers that contain the dry air environment to fully integrate with automated platforms for gripper or manual access to consumables.